PROFITABLE MARRIAGE: BLOCKCHAIN TECH & LEGAL CANNABIS COMBINE! ONE TINY COMPANY IS A FIRST-MOVER IN SOFTWARE SOLUTIONS POWERED BY THE REVOLUTIONARY BLOCKCHAIN! 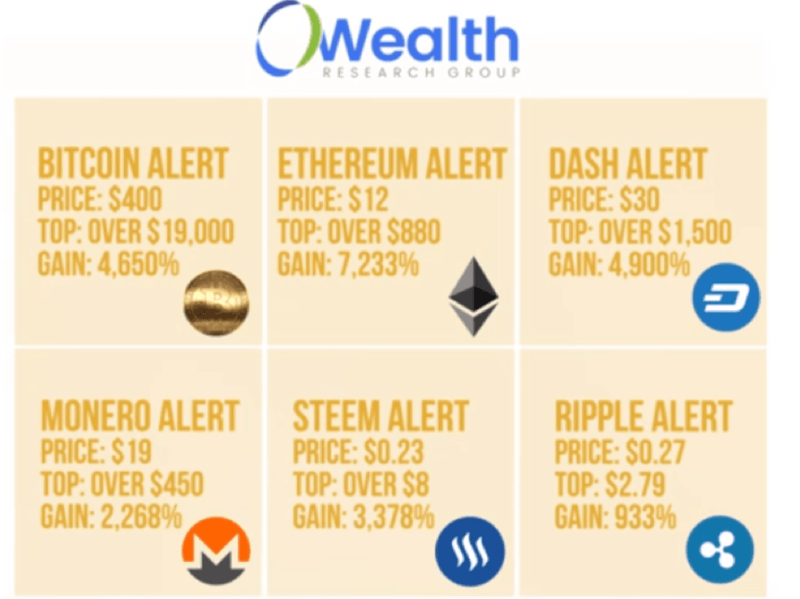 In the past five years, I’ve invested personally in numerous cannabis plays, making a fortune for myself and also covering cannabis opportunities at the Wealth Research Group newsletter. We’ve enjoyed booking gains on at least two triple-digit plays in 2017 alone. With blockchain technology, 2017 was a once-in-a-lifetime year. These were the returns made by subscribers last year, but in 2018, the money is not with the coins, as their speculative bubble popped in January, with many regulations still being discussed and tax ramifications clouding the landscape. But, what is progressing fast, not questioned by any government agency, is the widening use of blockchain tech in non-financial use-cases. Remember, blockchain is simply a unique database with decentralized advantages that offer revolutionary advantages to users of the technology. Its validity or its legitimacy is not up for debate. In fact, most of the world’s largest tech companies, specifically software and applications businesses, Amazon, Microsoft, Oracle, IBM, and Accenture, are employing thousands of workers, tasked with developing global products to bank and capitalize on this major, proven, and stable tool. For over a year, I’ve researched countless new companies that are slapping the word “blockchain” on their door, just to attract capital. Most have been opportunists, with nothing material to offer, until a contact of mine, who has an uncanny ability to spot early winners, brought to my attention a private company. 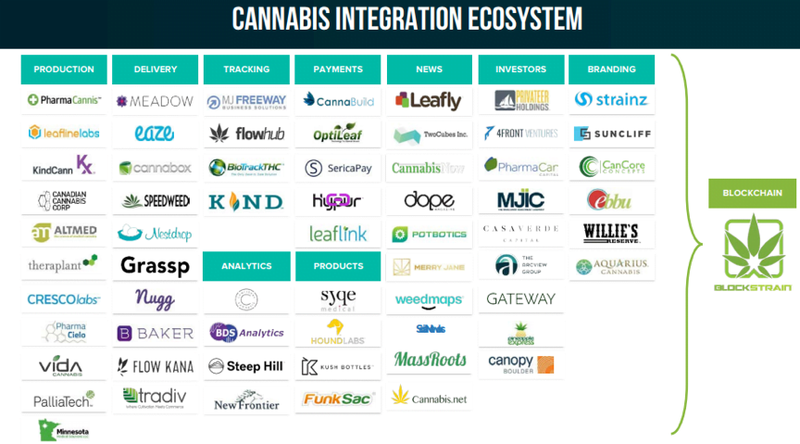 BLOCKStrain has since publicly-listed and is a first-mover in utilizing blockchain solutions in the cannabis industry! The legalization of cannabis, especially in North America, has had huge success, with California, the queen of recreational cannabis markets, opening its gates in January of 2018, Canada coming next this July, and many other developed countries to follow. As you know, before becoming legal, with plenty of government regulation and oversight, its supply chain management, business practices, and commercialism were subpar, at best. 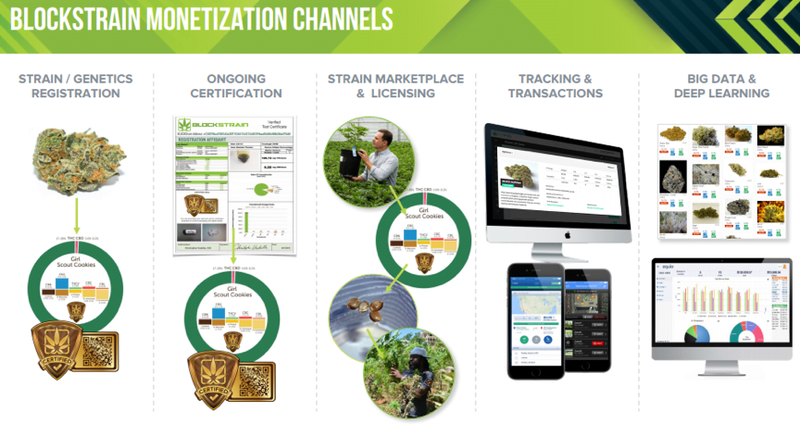 Check out BLOCKSTRAIN (TSX-V: DNAX) now, since it is about to become the most important interlinking entity between the fastest-growing consumer segment in the world, cannabis, and the most important tech revolution since the Internet, blockchain. The government is really clamoring down on growers, breeders, cultivators, producers, geneticists, and manufacturers. They all need to go through complex lab testing, data recording, tracking, Intellectual Property safeguarding, and quality control. BLOCKStrain (TSX-V: DNAX) is becoming the go-to company to handle these intricate issues, thanks to its proprietary software. The company is beginning to ink contractual agreements across Canada. The first is a strategic partnership with WeedMD, a major player, who is becoming BLOCKStrain’s first customer. The unique software developed by their team is going to cut costs for all the billion-dollar players, as well as streamline many processes, which are currently inefficient and wasteful. Most importantly, it will make sure their data is stored on a distributed ledger, so that it is accessible to consumers, businesses, and government bodies, all the while keeping their trademark secrets, concealed. The entire industry is begging for solutions, which are both user-friendly, modern, and automated for the bottlenecks this complex industry is posing. Remember, in the future, cannabis will also be exported across jurisdictions, so keeping records of genome-to-sale records, including the information regarding all the various strains, will be vital. 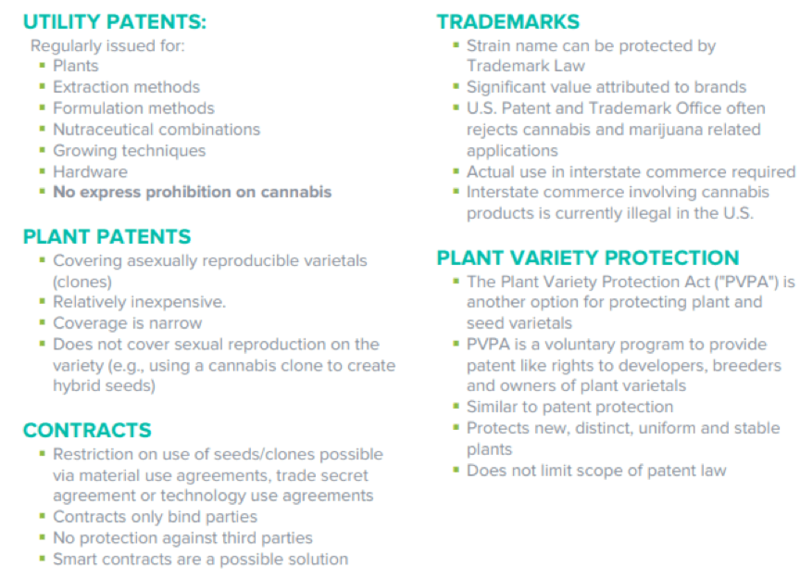 BLOCKStrain (TSX-V: DNAX) is in a unique position to take away all of these problems, act as the outsourced solutions provider for the Canadian cannabis boom, and build a huge company in the process. These are all the various processes, currently being handled internally by companies, with all the hardships it imposes on their bottom-line. After a lengthy analysis of how BLOCKStrain’s software works and what their upcoming product offerings could do to cost-effectively handle all of these headaches for cannabis companies, who want to keep growing fast, I’m making this stock my top software play for the cannabis industry. Consider BLOCKStrain (TSX-V: DNAX) NOW!